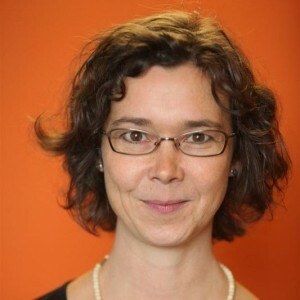 Kathleen (Karen) Geurts holds a PhD in Economics from the University of Leuven (KU Leuven). Her research interests are in firm dynamics, job creation and destruction, entrepreneurship, and value chain restructuring. Previously, she worked as a researcher and research manager at policy-oriented institutes. She has been leading research projects which aim at improving the access, quality and use of large-scale business data for research. She was engaged in establishing the Belgian Labor Market Datawarehouse, and has solid working relationships with the Statistics Department of the Belgian Social Security Office, a main provider of data that will be used in this project. Her PhD, ‘Job creation and firm dynamics. Understanding the role of entry, survival and restructuring’, focuses on two crucial stages in the life-cycle of firms that involve a large amount of job reallocation: the early years after startup and the period when two firms merge into a single company. It investigates how the employment outcomes differ depending on the firm’s individual characteristics. Geurts K. (2016). Longitudinal firm-level data: problems and solutions. Small Business Economics, 46:3, 425-445. Geurts K. & Van Biesebroeck J. (2016). Firm creation and post-entry dynamics of de novo entrants. Working paper version: CEPR Discussion Paper no. 10118. Geurts K. & Van Biesebroeck J. (2016). Employment performance following takeovers in Belgium. Work in progress. Geurts, K., Vets, P. (2013). Employee flows to study firm and employment dynamics. DynaM Working Paper, Leuven: HIVA-KU Leuven. Geurts K. (2009), When work moves off. Effect of outsourcing on firm level employment growth. Kerosine Working Paper, Leuven: HIVA-KU Leuven. Geurts K. (2009), ‘ Tracing employment in business functions. A sectoral and occupational approach’, in Huws U. (eds. ), Value chain restructuring in Europe in a global economy. Leuven: HIVA-KU Leuven, p. 43-48.